In the course of these four centuries, France’s destiny has been permanently intertwined with that of the Mellario family, whose “small” history often crossed paths with the “great”. They would become jewellers to the queens of every country in Europe since Marie di Medici: the Empress Josephine, Queen Marie-Amélie, King Louis-Philippe, the Queens of Italy, Spain, the Netherlands, the Empress Eugénie, the great Russian families, etc. 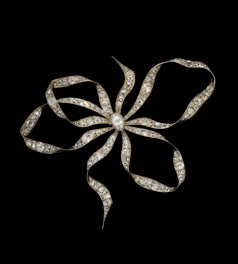 But this star-studded history, while unprecedented, is not what is most important: what is revealed by the only archives of their kind in the world, kept by the family from the earliest days, is the intimacy of the relationships forged between Mellerio and its clients. All these women, icons of fashion and their society, would commission pieces whose elegance and creative inspiration would be acclaimed by all. Today, for its Jewellery and Luxury Jewellery collections, MELLERIO dits MELLER celebrates this royal heritage by taking inspiration from these prestigious commissions, but designing them for other, more contemporary Queens: the women of the 21st century. 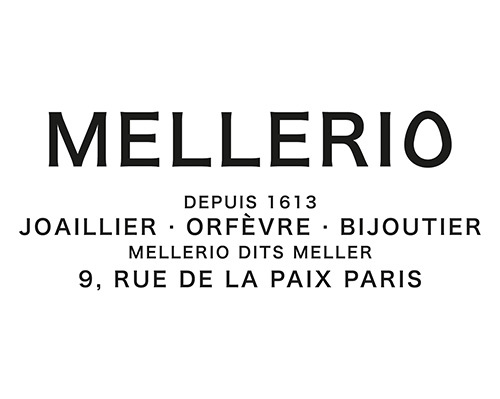 Their dual French and Italian heritage has nourished the spirit and style of MELLERIO dits MELLER since the very beginning. Its designs find a balance between the classic and the daring, wisdom and creativity, simplicity and ostentation. The firm is famous for its bespoke design service. Private commissions are its core business. 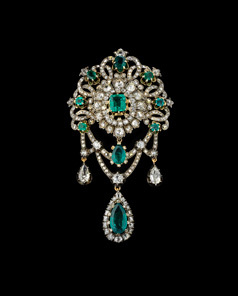 This exceptional personal service that its clients have always sought, gives MELLERIO dits MELLER a unique Place Vendôme status. 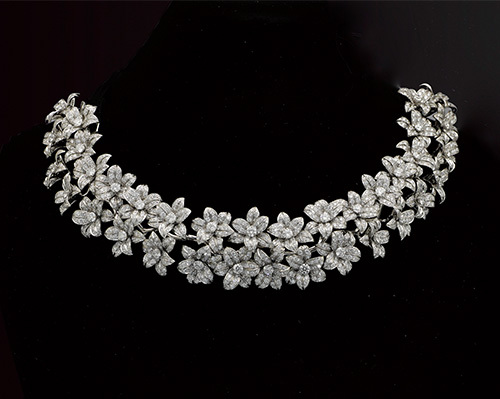 MELLERIO dits MELLER has also retained and extended its expertise in silver work, since each year it makes some of the finest sports awards, including the Coupe des Mousquetaires (Musketeers’ Trophy - Roland Garros - French Open Tennis Tournament) and the Fifa Ballon d’Or. The Mellerio family arrived in France after the Italian Wars, from Craveggia, a small village in the Vigezzo Valley nestling on the border between Piedmont and Lombardy. Here they worked as chimneysweeps, pedlars and seasonal traders, while staying in close and constant contact with their native land. The Regent Marie de’ Medici decided to grant her protection to the Mellerio family and the other inhabitants of three Lombard villages “for services rendered to the Kingdom of France” and to grant them special privileges. Legend has it that this incredible honour was awarded after a member of the family learned of a plot to incite the assassination of the young king Louis XIII. As a result of this decree, these pedlars of baubles and trifles very soon became jewellers to an illustrious clientele. MELLERIO dits MELLER stands out too, for its unique knowledge and expertise in the selection of precious stones and the settings that best enhance them. 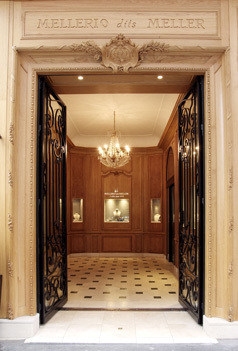 Collection pieces, one-off pieces, private commissions, repairs, re-setting, every aspect of the jeweller’s craft has been called upon every day at the Mellerio workshop at 9 rue de la Paix, since the shop first moved there in 1815. The firm took on a new area of expertise: watchmaking. It then made every effort to create a sensation and stand out: the MELLERIO dits MELLER watch has a novel face: a new shape, oval, uncluttered yet complex, obvious yet subtle, familiar yet symbolic. This innovation was the subject of a patent filed exactly 20 years ago. The tradition of innovation continued and a new patent was filed: a gemstone cut that bears the name of its creator: an oval within an ellipse: the “Mellerio Cut”.